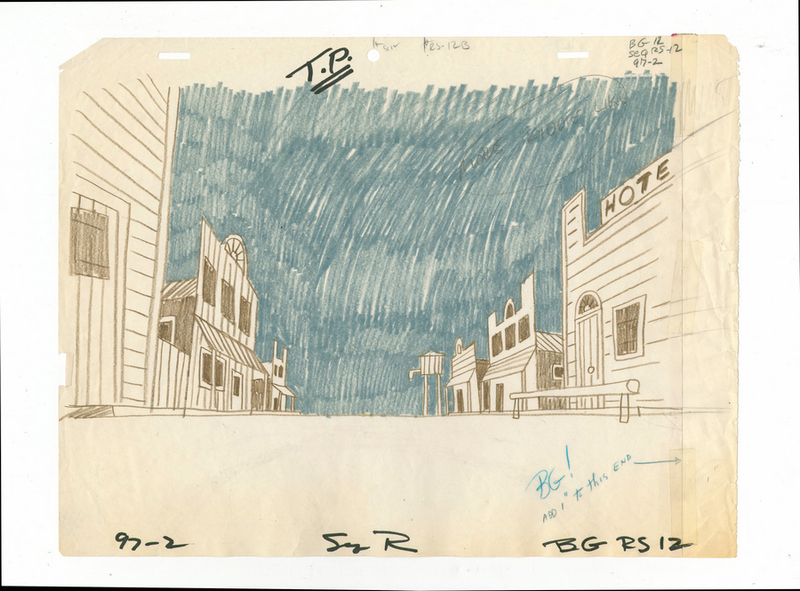 This is an original background layout drawing from the UPA Studios production of a 1950s Mr. Magoo cartoon. 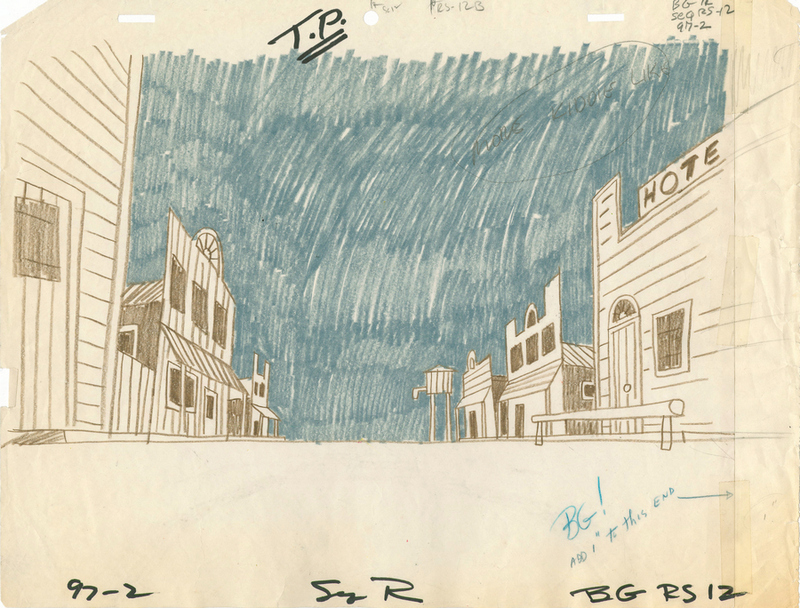 This drawing features building lining a street in an old west style town, and was created at the studio and used during production. The overall measurements of the piece are 10.5" x 13.5" and the image itself measures 7" x 12.5". The sheet is in good condition with wear to the edges from use and age.